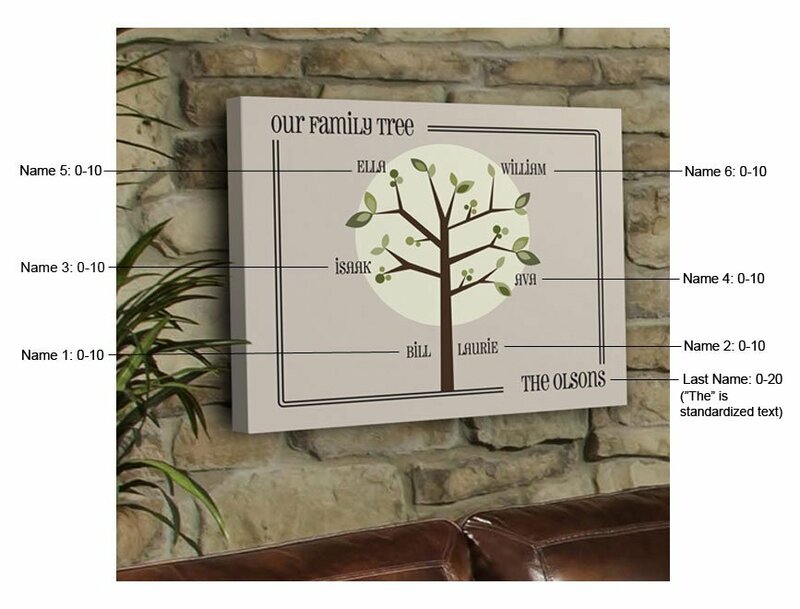 Give a gift that doubles as a family heirloom with these unique personalized family tree canvas prints. 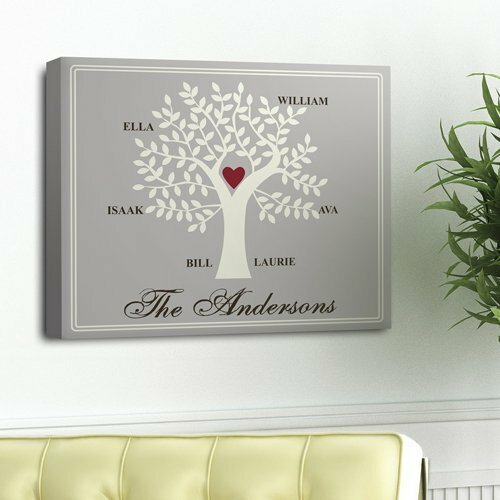 Each canvas features a family tree printed on high-quality canvas in the contemporary design of your choosing. Trees are designed to flow from the bottom to the top, with mom and dad's names at the bottom and their family member's names printed in the branches. 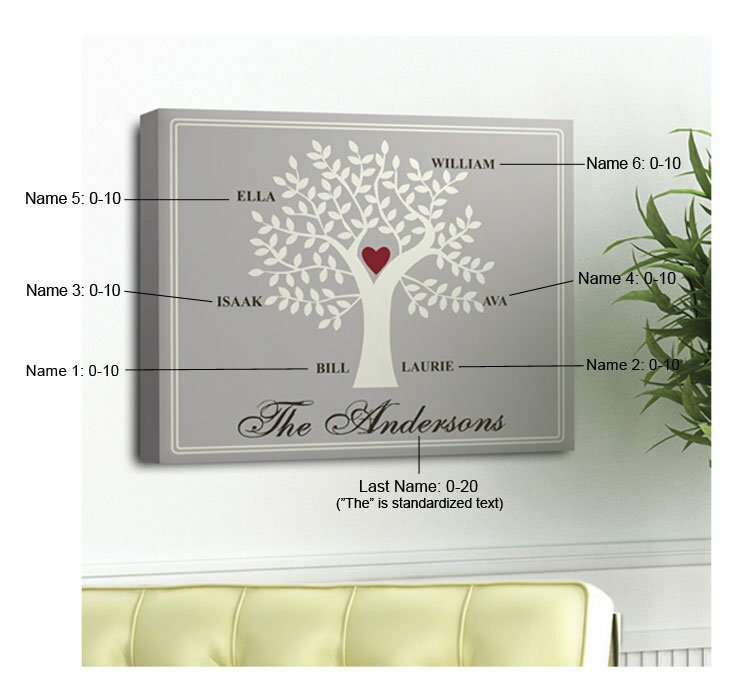 Each family tree print has room for up to 8 names, plus the family surname. "The" is standardized text before the family surname.